The huge HTC Titan has subtly dropped off a number of online retailers with no explanation as to why. The HTC Titan, which was released last year, rocks a 4.7-inch Super LCD screen, 8MP camera, 16GB internal storage and Windows Phone 7.5 Mango. 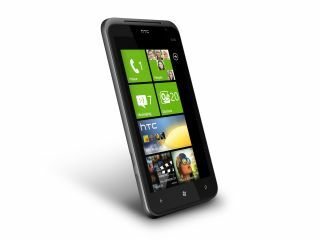 Retailers Carphone Warehouse and Phones4U along with networks Vodafone, Orange and T-Mobile all appear to have dropped the HTC Titan from their ranges. It's thought that the HTC Titan may have been dropped due to a lack of demand and poor sales of the handset. The HTC Titan 2 did get an outing at CES 2012 packing a single-core 1.5GHz processor, 4.7-inch Super LDC display and impressive 16MP camera. However this is unlikely to land in the UK as it also rocks 4G LTE capabilities – so we don't reckon the Titan 2 is the reason for the Titan's demise. TechRadar has contacted the retailers in question and is waiting to hear back. Mobile networks O2 and Three did not offer the HTC Titan in their ranges from the outset, so we'll let them off.